Since 1958, G & W Services has been providing commercial ac services on boilers. We know the in’s and out’s and can help you with not only repair or replacement, but also help you understand what to look for to prevent future problems. 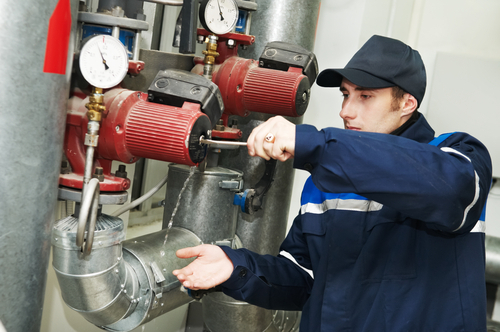 Our NATE certified technicians are properly trained to work on commercial boilers and can make the necessary repairs to keep your commercial boiler operating at its finest. In the case that you need a new boiler installed, we will find the most cost effective and efficient commercial boiler for you. In order to protect your valuable investments, it is imperative to have a preventative maintenance plan. Not only will is it mandated that all commercial boilers be checked by a licensed boiler contractor at least once a year; proper maintenance will help increase the lifespan of your boiler. Our preventative maintenance service will help reduce the buildup and increase their efficiency.